Updated at 7:38 p.m. on Wednesday, August 15, 2018. 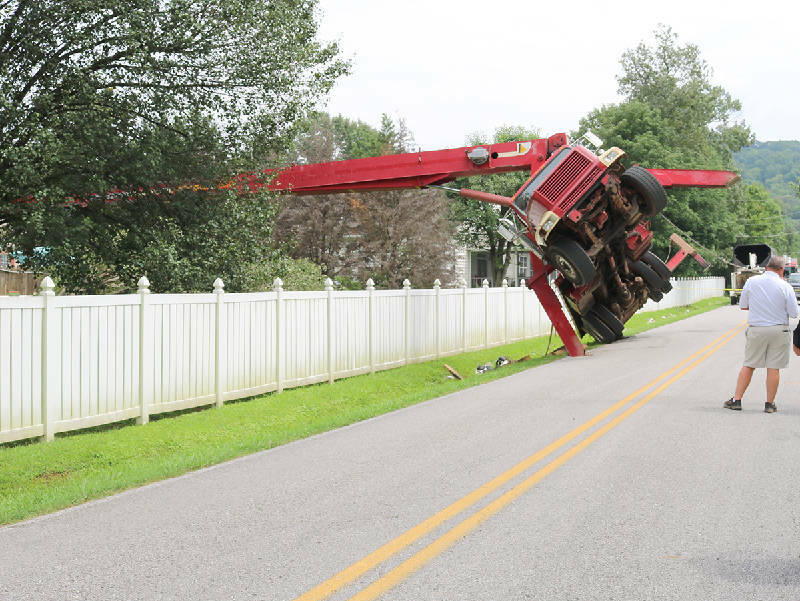 A toppled crane blocked part of East Boy Scout Road in its 1700 block Wednesday afternoon. 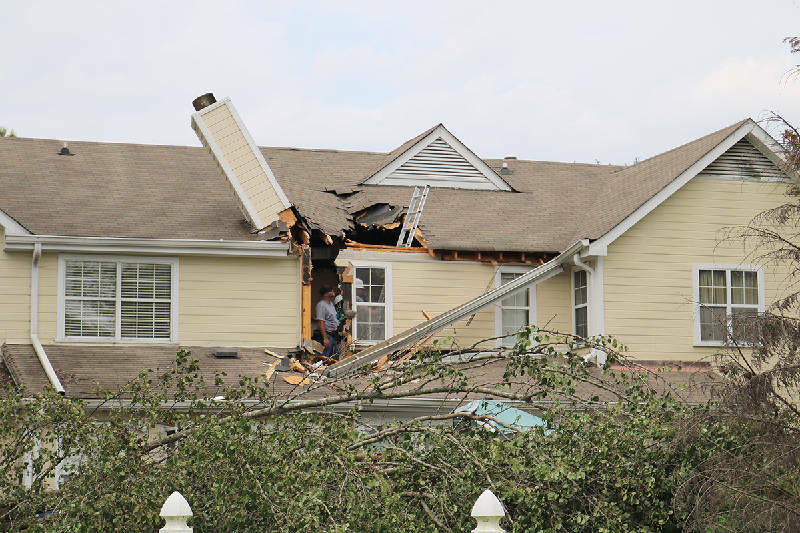 The crane was being operated by Big Woody's Tree Service when it fell over onto a condo in the Jackson Square subdivision at around 2 p.m., the Chattanooga Fire Department reported on Twitter. By 6:10 p.m., two wreckers successfully lifted the fallen crane off the condo. East Boy Scout Road is set to reopen as soon as the scene is cleared, the fire department Tweeted at 6:35 p.m.
Big Woody's Tree Service was in the spotlight last year when one of its employees, Jeremi Derek Cagle, 34, fell 150 feet to his death while trimming trees for a homeowner on Signal Mountain.